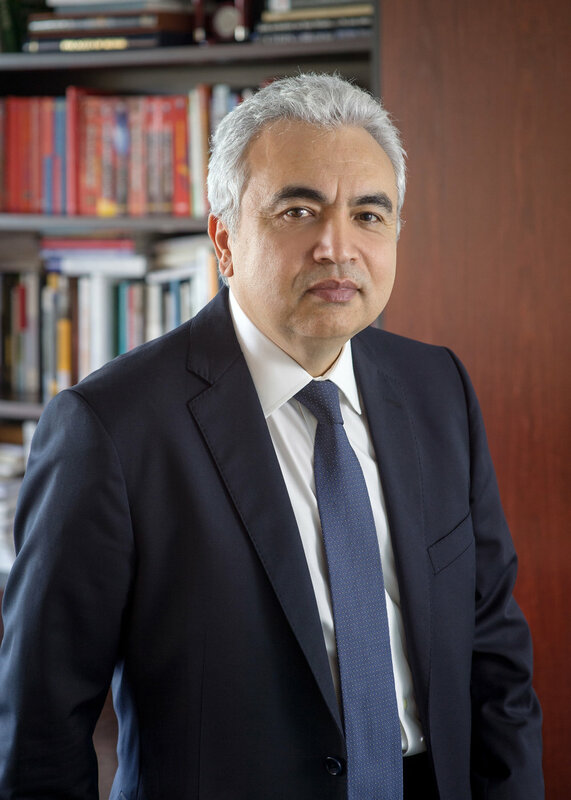 Dr. Fatih Birol has served as Executive Director of the International Energy Agency since September 2015. Under his leadership, the IEA has undertaken its first comprehensive modernisation programme since the creation of the Agency in 1974. The three pillar programme includes “opening the doors” to major emerging economies, providing countries such as India and China expanded roles in the Agency’s activities; broadening the energy security mandate of the Agency beyond oil security to include natural gas and electricity; and strengthening the role of the IEA as a hub for clean energy technologies and energy efficiency. The expanded IEA family, including new Accession and Association countries, now accounts for some 70% of global energy demand, up from just 40% beforeDr. Birol took office. In January 2018, Dr. Birol was re-elected for a second four-year term as IEA Executive Director. Prior to his nomination as Executive Director, Dr. Birol spent 20 years as a staff member at the Agency, serving most recently as Chief Economist, with responsibility for directing the flagship World Energy Outlook publication. He is also the founder and chair of the IEA Energy Business Council, one of the most active industry advisory groups in global energy. Dr. Birol has been named by Forbes Magazine as one of the most influential people on the world’s energy scene and was recognised by the Financial Times as energy personality of the year in 2017. He chairs the World Economic Forum’s (Davos) Energy Advisory Board and serves on the UN Secretary-General’s Advisory Board on ‘Sustainable Energy for All’. Dr. Birol is the recipient of numerous awards from government, industry and academia. Prior to joining the IEA, he worked at the Organisation of the Petroleum Exporting Countries (OPEC) in Vienna. He earned a BSc degree in power engineering from the Technical University of Istanbul, and received his MSc and PhD degrees in energy economics from the Technical University of Vienna. In 2013, Dr. Birol was awarded a Doctorate of Science honoris causa from Imperial College London.